A new standard in fuel tank sealing and restoration. Australian made and tested with Australian fuels including the new E10 fuels. 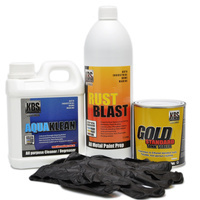 Gold standard fuel tank sealer is a superior, single component, ready-to-use fuel tank sealer that is specifically formulated to stop rust and corrosion. 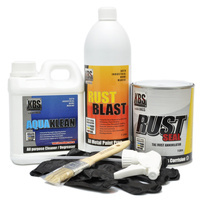 Used properly it will form a super tough, fuel-impervious coating while simultaneously sealing small pinholes and weld seams. 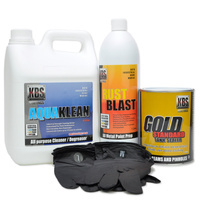 This highly surface tolerant sealer is capable of adhering to multiple surfaces that can be found inside your average fuel tank both motorcycle and automotive, including steel, zinc plate, aluminium and even fibreglass with the correct preparation. Gold Standard Fuel tank sealer also contains specially formulated pigments that will not degrade and break down under the constant presence of volatile fuels, unlike standard fuel tank sealer). We rank it as the industry’s NEW Gold Standard and have named it accordingly. 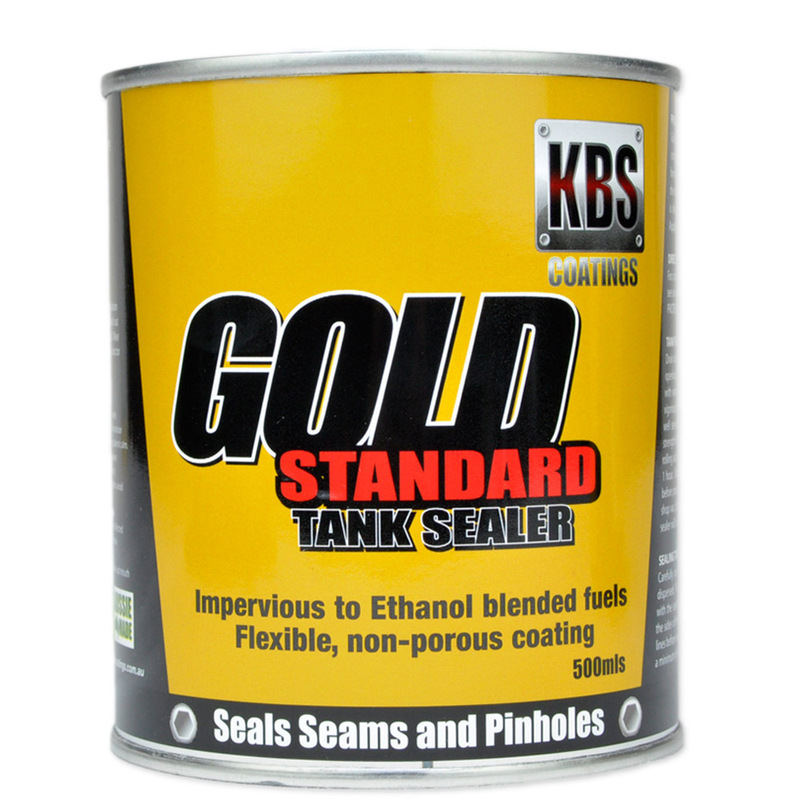 Gold Standard Tank Sealer is not recommended for plastic tanks because of the many different types & varying levels of porosities available.